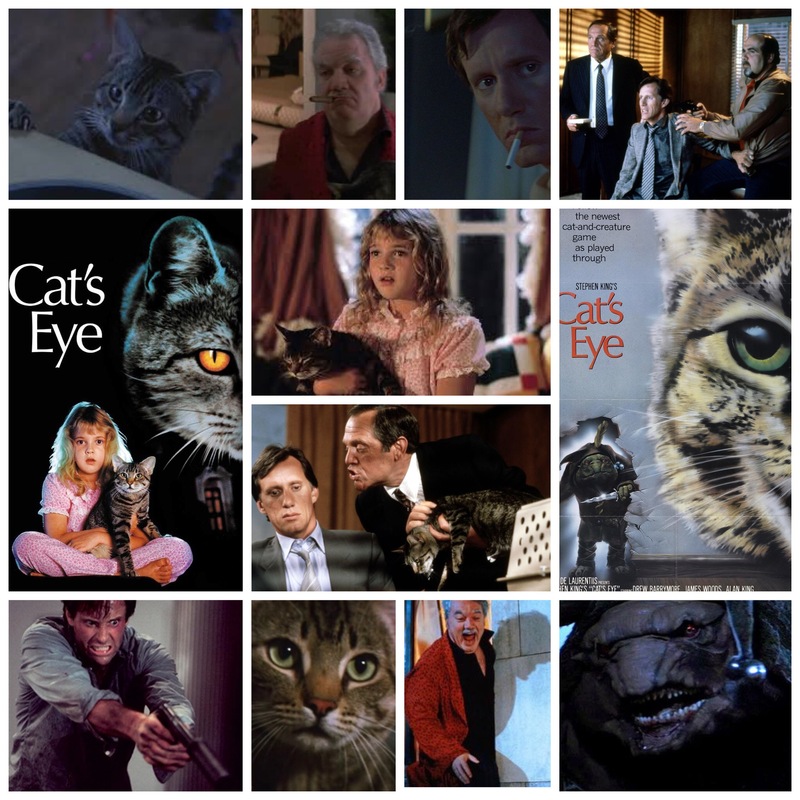 Cat’s Eye is Stephen King’s stab at the Twilight Zone, anthology formula, and a damn fine one at that. Just this side of horror, it’s a trio of weird and wacky tales as seen through the eyes of a meandering stray cat who manages to get itself tangled up in each thread. I’ve always marvelled at how they get animals to behave or sit still long enough to do a take and make it look realistic, but I guess that’s why they’re the movie magicians. This kitty fared well and even has a recognizable little personality of it’s own as it navigates each freaky scenario. The first segment sees a jittery James Woods enlist the help of an unorthodox ‘Doctor’ (Alan King knows just how over the top this satirical fare needs to be and goes there) and his… interesting methods of helping people to quit smoking. I won’t say more but this first third of the film feels the most like Twilight Zone in it’s borderline surreal mentality, and is a lot of fun. The middle segment is a hard boiled, vertigo inducing tale of a whacked out gangster (serial scenery chewer Kenneth McMillan in top form), tormenting his wife’s lover (Airplane’s Robert Hayes) in a Las Vegas high rise, whilst the cat looks on and contributes it’s own helping to the mischief. The third story sees an adorable Drew Barrymore adopt the poor stray, only for it to have to fight off a vicious little goblin thing that’s taken up residence in her room. This one is the most simplistic and closest to horror one finds in these three stories, and while a bit underwritten when compare to the others, is definitely the most visually engaging. All together they’re classic warped King, set to a hazy Alan Silvestri score and supported by a screenplay by the King himself. Great stuff.